3 Bedroom Detached House For Sale in Norwich for Guide Price £780,000. 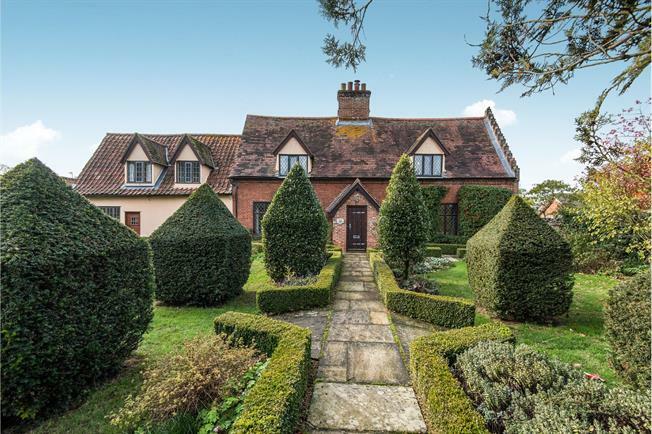 Purported to be one of the oldest properties in Hethersett, the Southern end of the house would have been an openhall dwelling dating back to the late 1500's, the Northern wing was added around 1729 with more modern extensions to the rear in the 21st century. Tucked away in a secluded private road the property has two long drives along with a sizeable garage. The beautiful front garden is landscaped in a formal style set with box hedging that was likely laid out in the 1700's. The rear garden is a generous size for families and those with pets and incorporates a sizeable terrace. Internally the Georgian end has a fine triple aspect drawing room and dining room, both with deep fireplaces. Leading to the back is a wonderful conservatory overlooking the rear garden and the extension housing the long kitchen/diner with bespoke oak cabinets and the matched utility room. The southern rooms dating to the sixteenth century have beautiful exposed timbers that exemplify the best craftsmanship of the period. The first floor has three double bedrooms which follow the gable lines creating great character, the master bedroom has the addition of an en-suite to accompany the family bathroom and ground floor shower room. A simply stunning slice of history in one of East Anglia's finest villages.